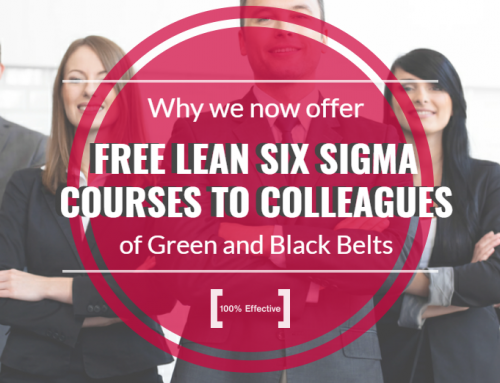 The role of Lean Six Sigma Sponsor is a significant one. Although not directly involved, their input, commitment, and support can be the difference between make or break for the project. As a first time Project Sponsor, this responsibility is not always easy and it can be difficult to know what to do. 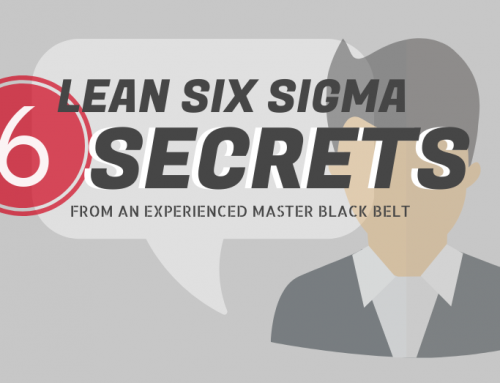 So, to help out all Project Sponsors, here’s a letter from an experienced Lean Six Sigma Master Black Belt to get you started. You have provided several employees with Lean Six Sigma Green Belt training and you want to ensure you receive a good Return On Investment. You know that this can only be achieved through the successful completion of Green Belt (GB) projects and so now your question is, as a Sponsor, how can you increase the chance of your GBs delivering those projects? As a Sponsor, your first challenge is to make sure that the Belts are given the right projects to work on. 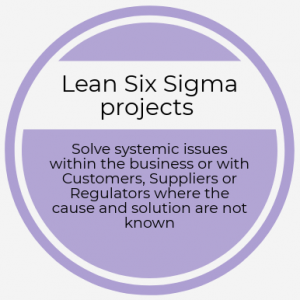 During this step, it is important to bear in mind that Lean Six Sigma’s powerful DMAIC methodology is designed for a specific type of project and so not all problems will require LSS. All of these can make great general projects, but they don’t really require the LSS DMAIC methodology. 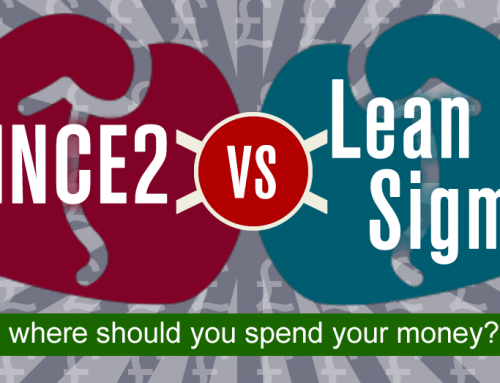 So what types of project is LSS DMAIC useful for? A good rule of thumb is that if you already know what needs to be done to solve a problem, then don’t give this to the Belts as an LSS project. Good LSS Project Sponsors, therefore, look for issues where the causes and solutions are not known and carefully work with them to formulate the ‘Problem Statement’. The DMAIC methodology that your Green Belts will use stands for Define, Measure, Analyse, Improve and Control. These are called the Project Phases and each phase is supported by its own set of actions and tools. The Belts will apply the methodology to the problem they are given alongside an interdisciplinary team that they must select. As the Belts work on their project, they will need both the support of you and also the local process manager, known as the ‘Process Owner’. DEFINE TIP 1 During this phase, I would suggest that you pay particular attention to ensuring that the Problem Statement is clear, unambiguous and really captures the issue you are seeking to resolve with the project. Think carefully about the scope of the project and ensure that the team is not given a problem that is likely to be too wide in scope for them to realistically deliver in a reasonable timescale and with the resources available to them. DEFINE TIP 2 It is very likely that the GBs have many important and urgent duties that they must constantly attend to. 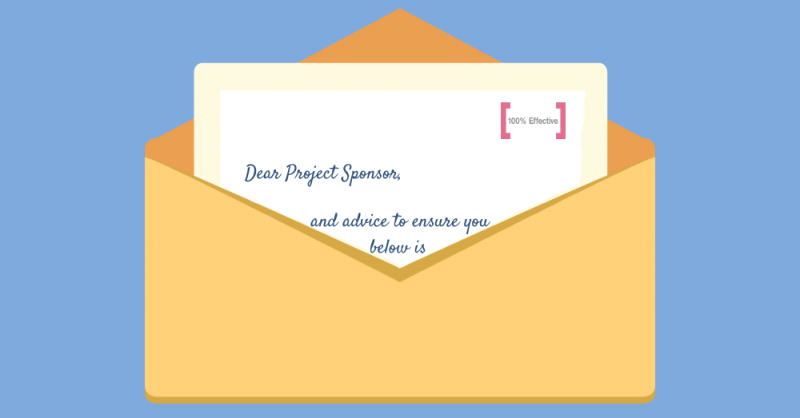 As the Project Sponsor, you need to help them to find time for their projects. Proactive diary management is usually required and putting in place a ‘Project Day’ each week or fortnight is strongly recommended. Workshops are also very useful to promote short periods of intense project activity for the teams and their key stakeholders. DEFINE TIP 3 One way for the GBs to pick their teams is for them to complete a provisional SIPOC of their process (a tool to help with scoping), and to also create a high-level map of the process they are looking at – consisting of just a few major steps. The GBs can then use their experience to highlight certain suppliers, customers or team members at key process steps as potential LSS team members or Stakeholders. DEFINE TIP 4 The major challenges your LSS teams will experience are likely to relate to stakeholder rather than technical issues, and so make sure that the GBs take this aspect of their project seriously. Use your network to ensure that the Senior Leaders in the key areas are really on board with the project and are prepared to support it in concrete and demonstrable ways. MEASURE TIP 1 In this phase, collecting good quality data for the output metric(s), or project Y(s), is important if the GBs are to use the statistical tools they have learned and ultimately prove at the end of the process that they have made real improvements. Be aware that the input variables, or Xs, need to be contained in such a way that potential relationships can be explored properly. Quick Hint: When the team is defining the variables, get them to imagine that they are about to analyse the data. Encourage them to think about what graphical or statistical tool they will use and then make sure that the data they collect is formulated in such a way that is can be used for the tool. For example, if the Y is continuous, then ANOVA or t-tests can be used to check if attribute Xs affect the Y ‘on average’. If the Xs are continuous, then scatter plots and regression lines are the best tools. If they feel they need to build more complex models then encourage them to seek assistance from their Master Black Belt. MEASURE TIP 2 Be aware that it is quality over quantity when it comes to data. LSS teams do not need several thousand data points to build models or to understand what’s going on as far as ’cause and effect’ are concerned. In fact, huge amounts of data can overwhelm the analyst, slow down computers and increase type I errors (false positives). They are also often full of inaccuracies, and so randomly selecting a smaller set of good quality data over representative time periods and making sure they are ‘clean’ is to be recommended. MEASURE TIP 3 All models are simplifications of reality and so don’t expect them to explain everything. They are there to help you gain insights into the data, that’s all. Also, when your team are checking for process stability, don’t expect many of your processes to be ‘normal’ – they are very likely to be skewed in some way. This in itself is not necessarily a bad thing, but do address causes of instability. MEASURE TIP 4 Team members are likely to say that there is nothing they can do about a certain special cause, person or department – they are beyond our control. When they say this they are effectively admitting defeat. It is important that you remind your team that if instability is causing a process to perform in an unacceptable way then you either have to prevent the causes or somehow make the process robust to them – there is no other way. Also, it is during this time that, as the sponsor, you can use your power and influence to address particularly tricky issues. However, there are some cases in which it really is impossible to remove the special causes or to make your processes robust to them. In such situations, you must accept that the process cannot perform as you would like and this usually means that the project objectives have to be renegotiated. ANALYSE TIP 1 During this phase, brainstorming and affinity exercises are very powerful but only if done with the right people – those with the necessary process knowledge – and if properly facilitated. Focus, focus, focus! Make sure that the team only create problem headers that are specific to the actual problem being addressed. Ensure they avoid nonspecific problem headings like ‘System’ and ‘Training’ and instead, look for specific problems headers like ‘Invoice arrives late’ and ‘Invoice misclassified’. ANALYSE TIP 2 Once the teams have identified the problem headers then they will need to be prioritised, ideally by data, or, if not, by means of experience. You can get them to use a weighted voting for this, such as ‘Pen-dot voting’. I would then get them to follow up with a ‘5 Why’ exercise for each of the major causes to get to the true underlying issues which need to be addressed. During these activities, it is also helpful to remember the 80/20 rule – in other words, you don’t have to fix everything. ANALYSE TIP 3 At this stage of the DMAIC, ensure your team do not worry about how they are going to fix the issues they uncover. This can affect their thinking, leading to a tendency to avoid real root causes that seem too hard to fix. IMPROVE TIP 1 Now it’s time to focus, focus, focus, and also prioritise, prioritise, prioritise! Extremely long action plans that never get completed are no use to anyone. If an important root cause is thought to be relatively easy and quick to fix then it can be addressed by means of an action plan. If it needs a large scale, or expensive IT intervention then this will need to be considered with other IT projects. You can help with this as Project Sponsor; if a root cause is seen to be complex and/or where the ‘cause of the cause’ is not known, then this may be spun off as a separate LSS project. IMPROVE TIP 2 To keep the Improve phase manageable, it can be a good idea for the original team to pass the big or expensive solutions up to the Sponsor for consideration, while the original GB team concentrate on two or three of the ‘highly feasible-high impact’ solutions. CONTROL TIP 1 Remember that you can only control processes by means of their Xs or inputs. The Control Plan, therefore, needs to highlight the important inputs and outline, in a clear and unambiguous way, what the process requires of these inputs to remain stable and capable. Note: Practical measures to assist the suppliers of these inputs to achieve this should have been a major component of the Improve phase. CONTROL TIP 2 Ensure that the GBs use the hypothesis testing tools they have learnt, such as 2 sample t-tests, to prove that they really have made an improvement and insist that they keep a Control Chart going for the main project, or KPI, for at least a year to ensure stability. CONTROL TIP 3 It is unrealistic to expect the GBs to continue to manage someone else’s department for the foreseeable future. So, as the Sponsor, it is your job to ensure that the Process Owner sticks to the new process and Control Plan, especially if this person works in a different area to the GBs. CONTROL TIP 4 Reviewing the projects is vital. I recommend you encourage a fortnightly or monthly review and that you ensure the inter-phase gate reviews are rigorously adhered to. These will allow you and other key stakeholders to ensure the projects a progressing properly. Finally, good luck, and remember that although you should not have to devote many of your valuable hours to each project, as Project Sponsor, your role is vital in the success of the project. For those interested in learning more about how to truly support Lean Six Sigma in their organisation, we recommend our Champion Belt training course. 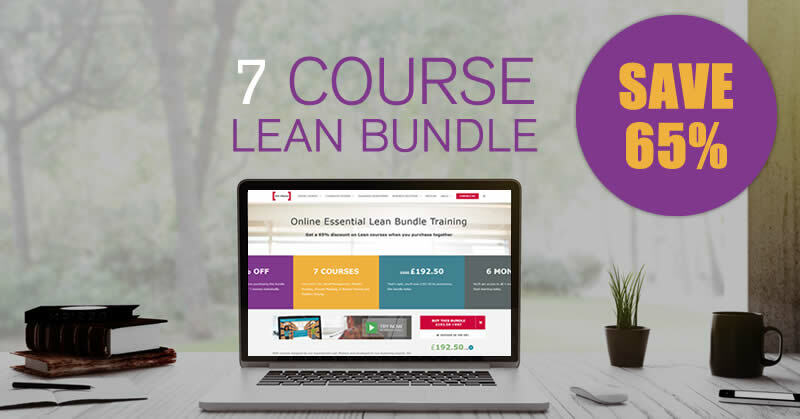 We also offer a FREE introductory Lean Six Sigma course – just click the button below to get started.